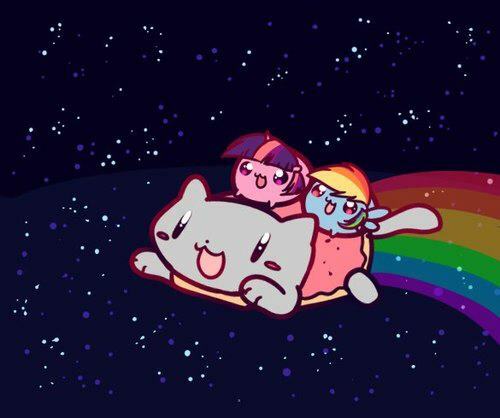 Nyan Cat MLP. ちび ponys on le Nyan cat~. Wallpaper and background images in the Nyan Cat club tagged: nyan cat chibi mlp.